As the Summer season nears, the call of the BBQ and impromptu get-togethers beckon. 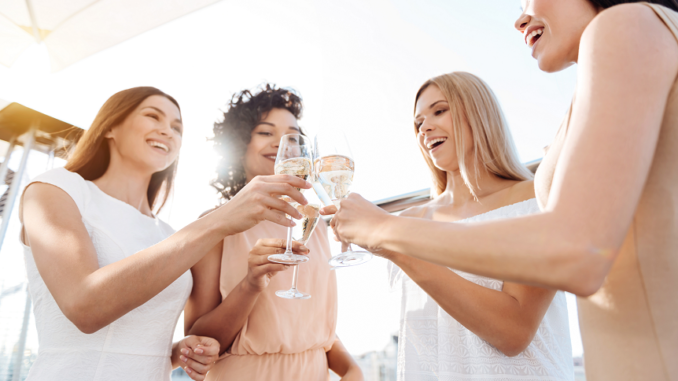 And on beautiful, sunny day, a wine and cheese party is a great way to gather your friends, offer savory delectables with zero cook time, and of course – some yummy wine selections! Feeling a little daunted about getting the party started? No sweat. Here at SLH, we’ve put together 7 quick tips to help you pull off a casual but sophisticated, palate-pleasing wine and cheese party. There’s absolutely nothing wrong with a traditional wine and cheese pairing. But if you’re thinking of taking things up a notch, consider adding a few additional players. Grapes, Raspberries and Blueberries go wonderfully with Whites while Apples, Pears and dried fruits such as Figs offer sweet complement to your richer Reds. Leaning more charcuterie? Rich chicken pâté is perfect with most Whites, Cava plays very well with Rosé and most dry-cured Salumi will pair well with any Red. Lastly, don’t forget the nuts! Cashews are great nibbly bits with lighter Whites while Almonds pair up nicely with Chardonnay. Fatter flavored nuts like Pecans, Walnuts and Chestnuts go amazing with a variety of Reds. Remember the idea of having any get-together is to connect with friends and share new things. Don’t get too bogged down in the idea of trying to present the “absolute” pairing because frankly it doesn’t really exist. Everyone’s palate is different, and that’s exciting! Start with what you like, experiment with ideas and go from there. And have fun! !